Over the last decade mobile computing has become increasingly popular. Laptops have gone from machines the same size and weight (and some would say functionality) as an average breeze-block into slim, light, super fast processors that claim to be able to do just about anything thrown at them. The same, of course, has gone on to be said about tablet computers and smartphones (although, it’s worth pointing out that for all the fuss over tablets, their market share remains relatively small). So does all this mean that our beloved desktops, starting point for all gamers everywhere and for so long a mainstay of our daily lives are on the way out? Will PC World have to change its name to Laptops R Us? Could it all be over for Windows? First of all, for all the processing punch that you can squeeze into a tablet or a laptop, desktop computers will always have so much more, primarily because it has much more space for all the hardware to squeeze into – just take a look at the desktop specs on PC World. Impressive. 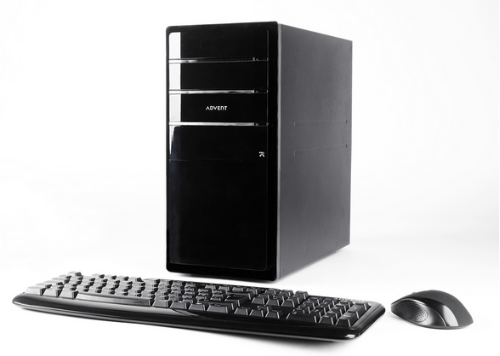 As games manufacturers, and manufacturers of just about anything to do with computers always make the most of the processing power available to them, desktops will always be the best for anything requiring a lot of power. Then, there’s the fact that because you don’t have to move them, they can have better (maybe even 3D) screens. In fact, Sony has already released 3D screens for the Playstation, and it’s well known that other manufacturers are looking to do the same for computers. With the power available to users of desktops, surely 3D games are going to be at their best when run through a computer? So we can be fairly confident that the desktop isn’t about to die, but that doesn’t mean it’s not about to change, possibly in significant ways. After all, anything that requires limited energy – like word processing, and surfing the internet (broadly speaking) is probably better on a laptop because you can do it anywhere you like, any time you like. Likewise, streaming videos will probably be shifted to televisions – after all, people have been predicting the end of televisions for years and we’re just too attached to them to let them go. So, maybe the future of desktops lies in the specialist arena…graphics processing, gaming, film editing, in short, anything that requires a lot of get up and go (and most of the things that are the most fun) will still be using desktops. And long may it continue.